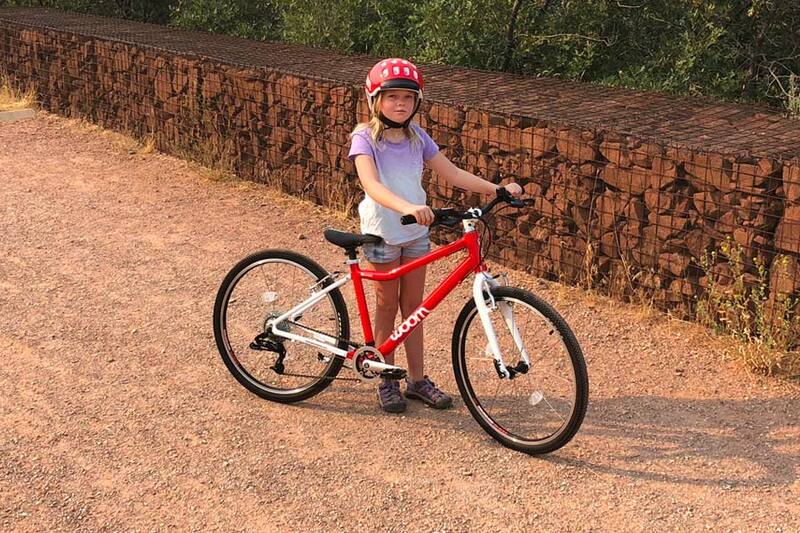 The Woom 5 comes from a line up of children’s bikes crafted with the intent of enabling kids to become cyclists through positive experiences. 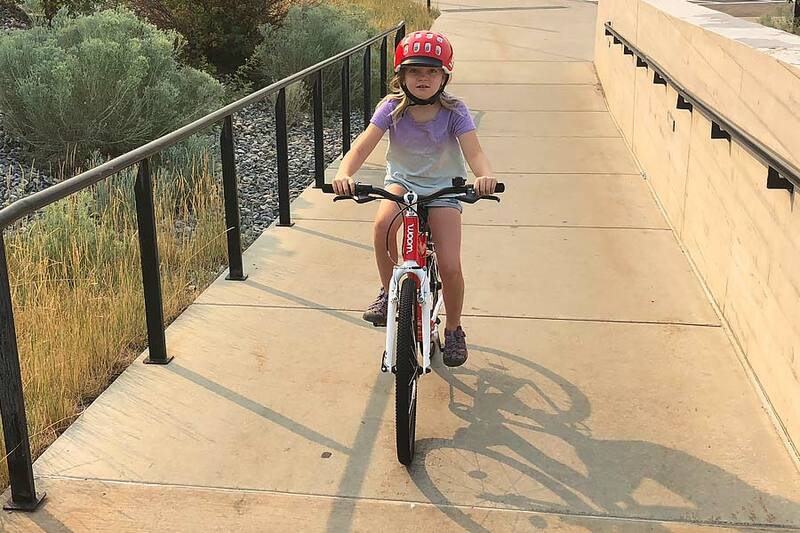 The bike weighs just under 18.5 pounds and its 24-inch wheels make it a wonderful candidate for riders 7-11 years old and 49-inches to 57-inches tall. It is priced at $479.00 USD. 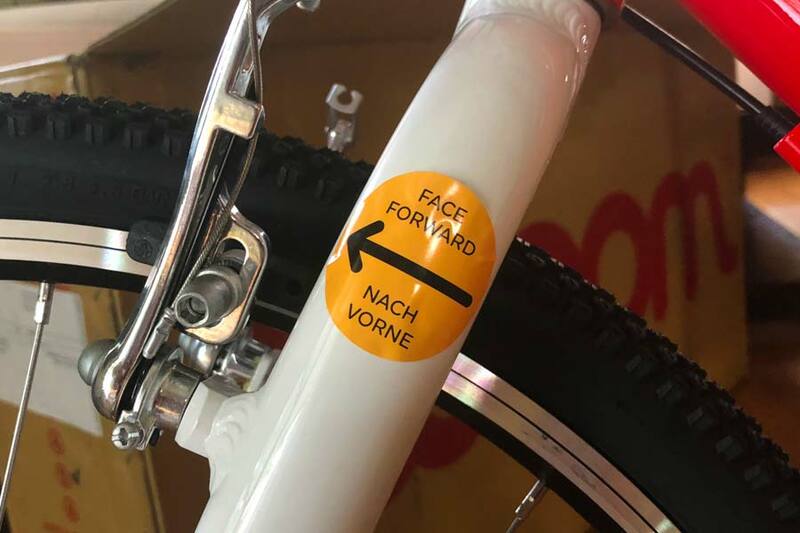 Designed by company co-founders Christian Bezdeka and Marcus Ihlenfeld in Vienna, Austria – Woom offers bikes sized from the Woom 1, a 12-inch wheel balance bike through the 26-inch wheel Woom 6. 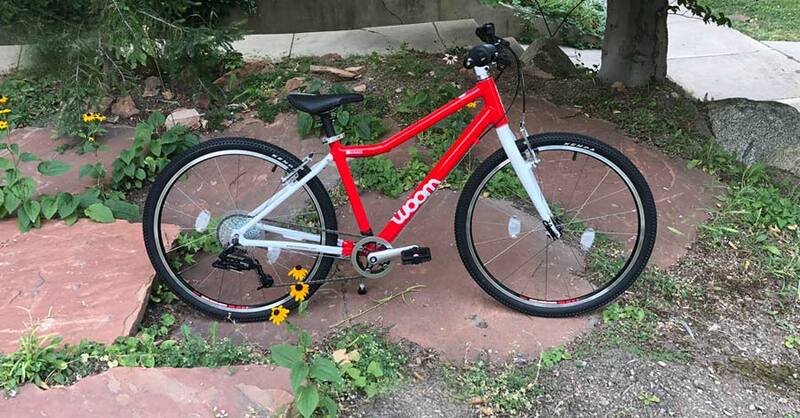 The Woom 5 is perfect for cruising the neighborhood and dirt roads. We love that it has a kickstand. It’s available in red, blue, green, and purple. 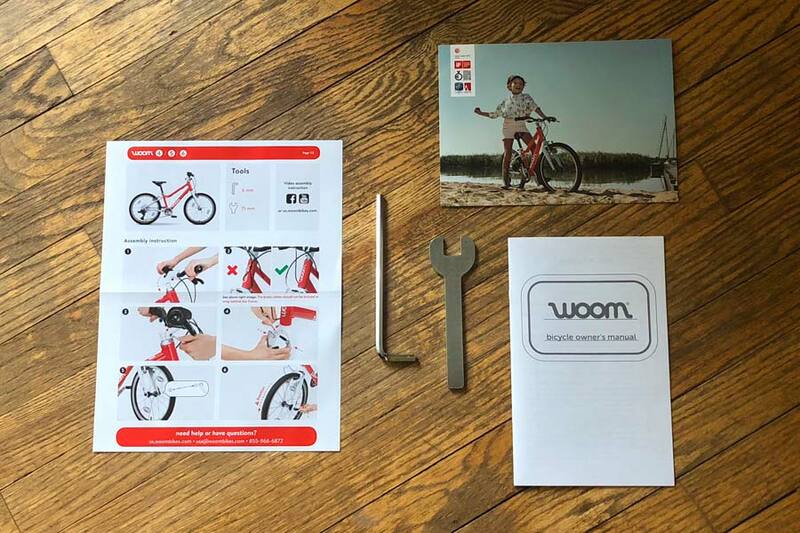 Click the link below to purchase this bike directly from Woom. 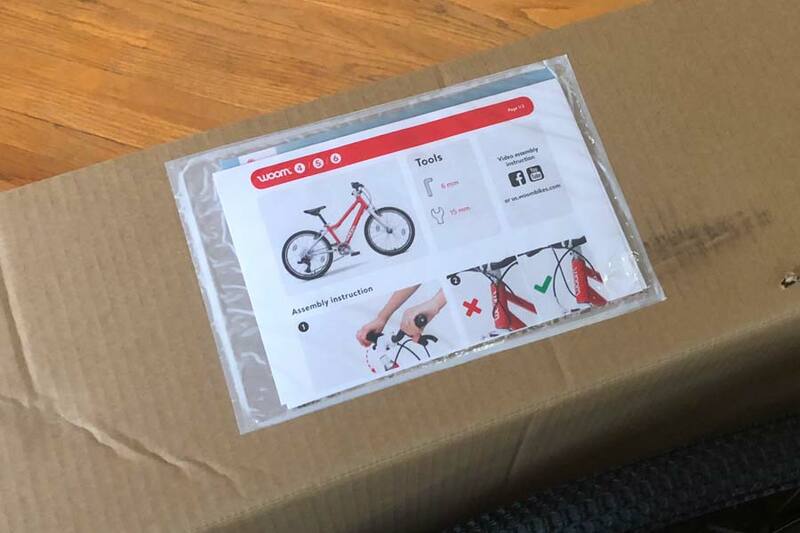 When our Woom 5 arrived via mail, I was eager to see how how much effort it would take to assemble. It was pleasant to see the instructions presented in a plastic envelope adhered to the top flap of the container. That was like getting a polite greeting before having to roll up the sleeves for a bit of wrenching. Zip ties secured most everything to the frame including the handle bars and front wheel. The bike was very well protected in small sheets of foam padding and there were plastic inserts guarding the front wheel’s axel. Putting the bike together was a snap. 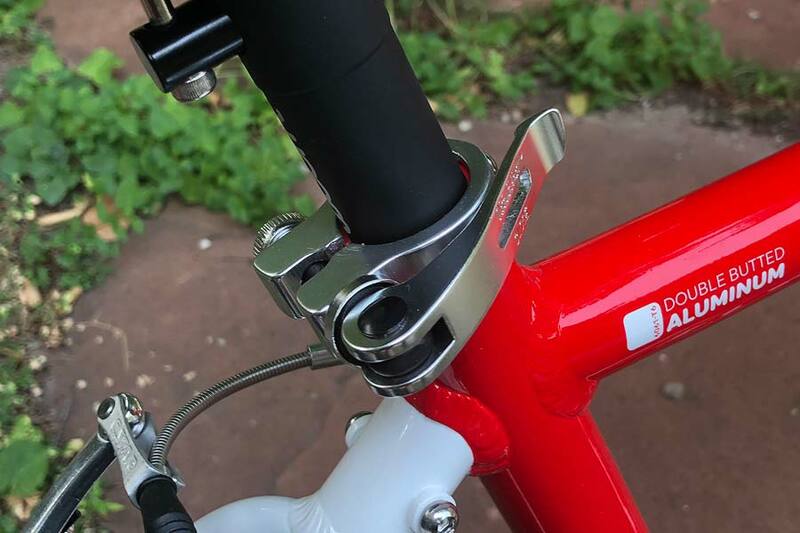 The headset on the bike only has one bolt that needs to be tightened to the stem. The pedals had to be attached as well. But, Woom has included a 6mm allen key and 15mm wrench so you don’t have to dig out the tool box. I just used a pair of household scissors for the zip ties. The best part about assembling the bike was the no-nonsense installation of the front wheel and setting up the front v-brake. 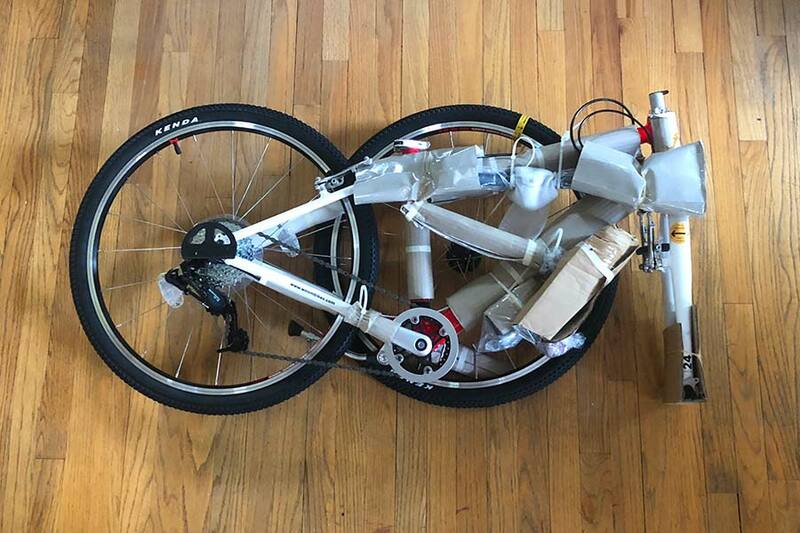 I can’t guarantee this of all bikes shipped from Woom, but the front brake on our bike was already configured and centered properly. All I had to do was attach the brake cable anchor bolt to the cantilever arm. Woom has assembled a collection of datasets which are used to properly calculate the frame geometries for all their bikes. While doing my research, I even found an article where Christian Bezdeka, Woom’s founder and industrial designer, discusses the importance of children’s foot-to-floor ratios and average bone lengths. 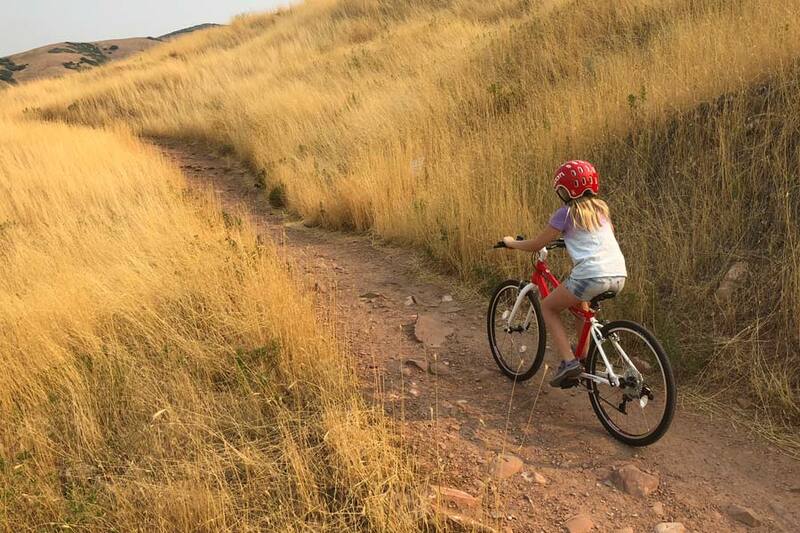 No matter what brand bike you choose for your kid, fit is paramount. It ensures your rider can safely control the bike, build confidence, and learn to enjoy cycling. Our rider was a perfect fit for the Woom 5. 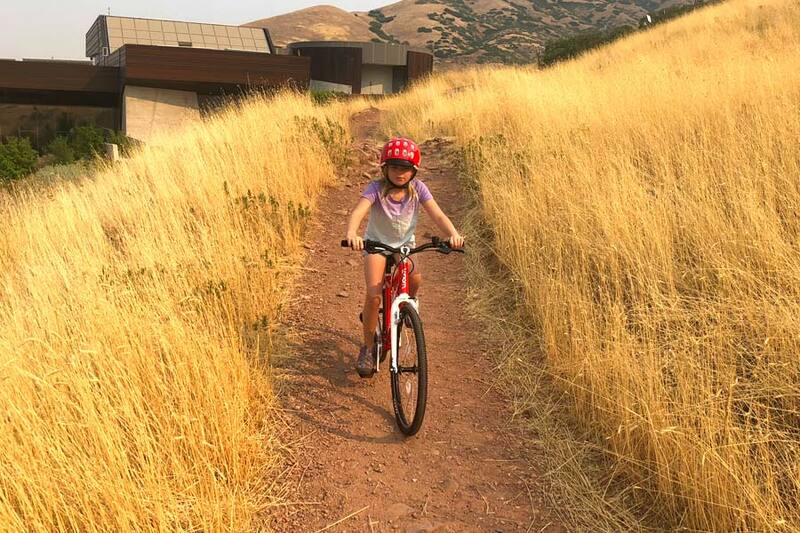 This was her first time on a 24-inch wheeled bike with multiple gears and she was comfortable on the bike quickly. 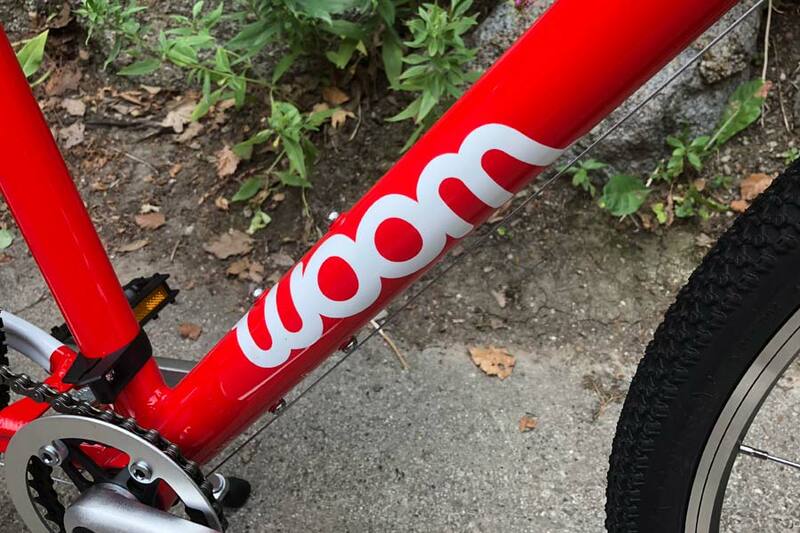 The Woom 5 frame is constructed from certified AA-6061 aluminum and the top tube of the bike is cleverly straightened out for about 8 inches as it extends from the seat tube. This enables a proper sized rider to straddle the bike easier. There is a quick-release seat collar with a lever designed so children can raise and lower the saddle themselves. The child-sized saddle provides stability and it looks great, too. Following the frame, a bike’s wheelset is major feature where quality can be addressed. Most manufacturers obtain wheels and hubs from outside companies. 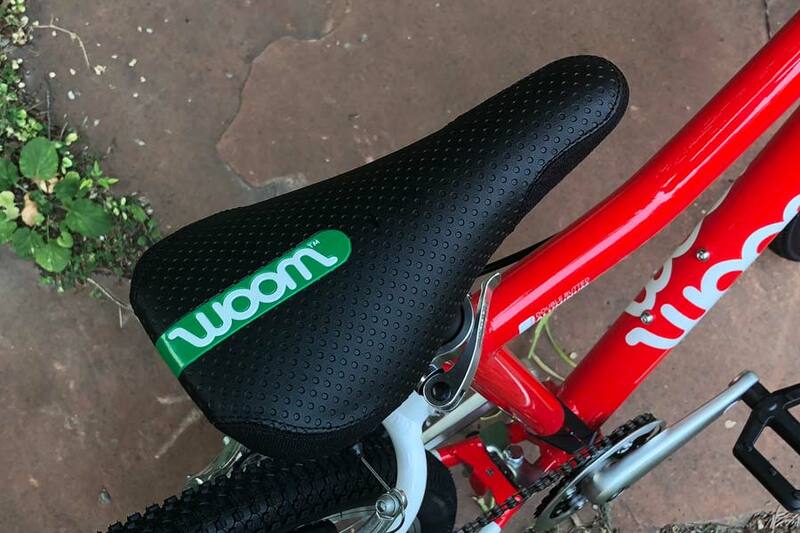 For Woom Bikes, this was another opportunity for the designers to achieve high standards for weight and durability. 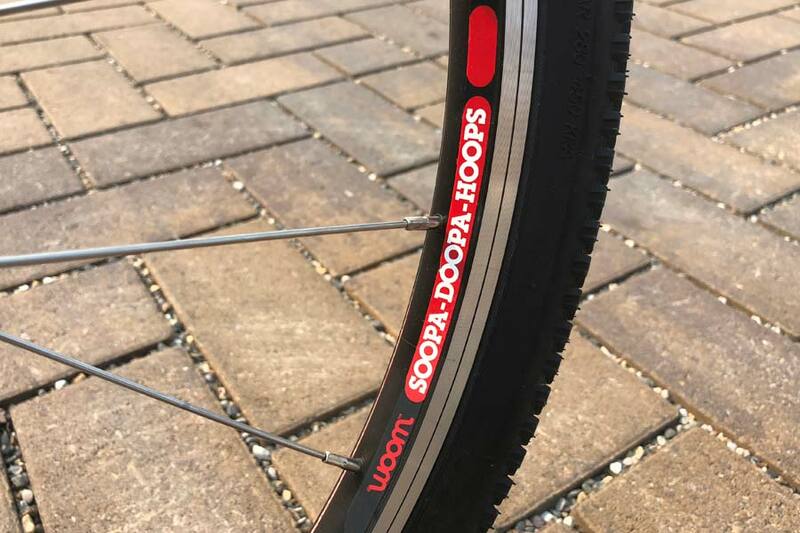 Woom’s proprietary wheels are branded SOOPA-DOOPA-HOOPS and they are single chamber aluminum rims with 20 spokes laced to sealed bearing hubs. 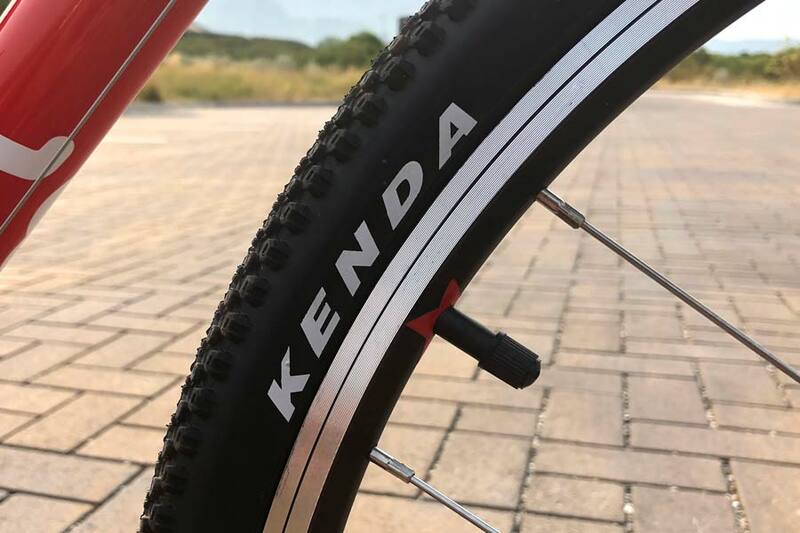 The Kenda Small Block tires measuring 24″ x 1.5″, which are made to function well on-road as well as non-technical trails, complete the wheel set up. 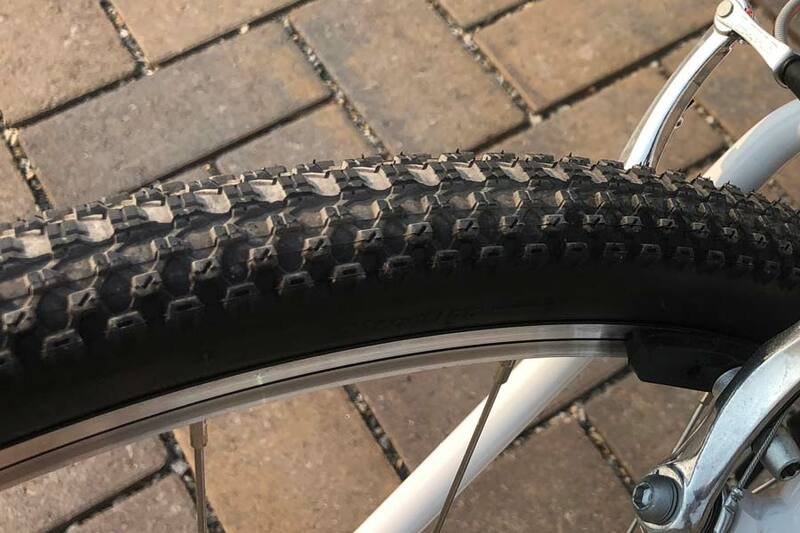 The tires have old-school Schrader valves. 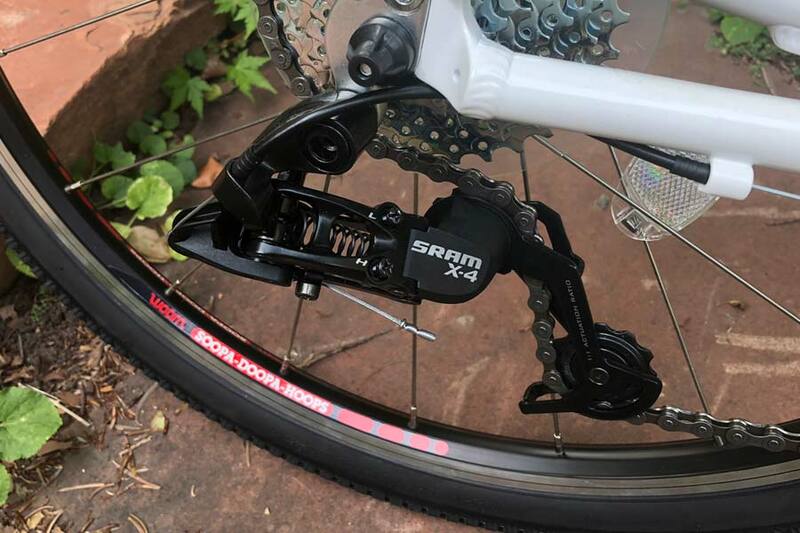 A SRAM shifter, X-4 short cage 8-speed derailleur, 11t-32t cassette make up the majority of the 8-speed drive train. The highlight of the drive train is the crank set. 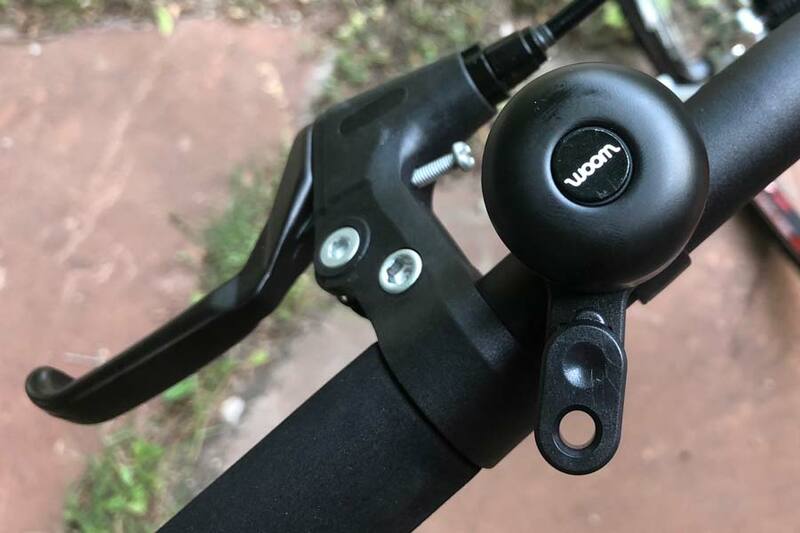 Woom chose to customize this component in order to make the bike fit young riders better. On the Woom 5, the length of the crank is 5.12″ – not a nice round 5″ or 5.125″; but 5.12″. 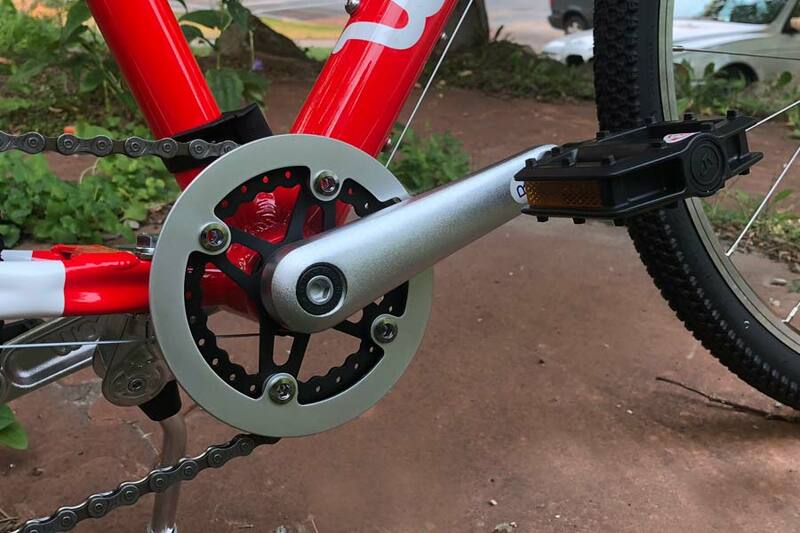 The raw aluminum/alloy cranks paired with the black 28t chain ring make it look elegant. And, that makes us want to get it muddy. The brake levers are designed so your small-handed rider can easily give them a squeeze to slow the bike down. 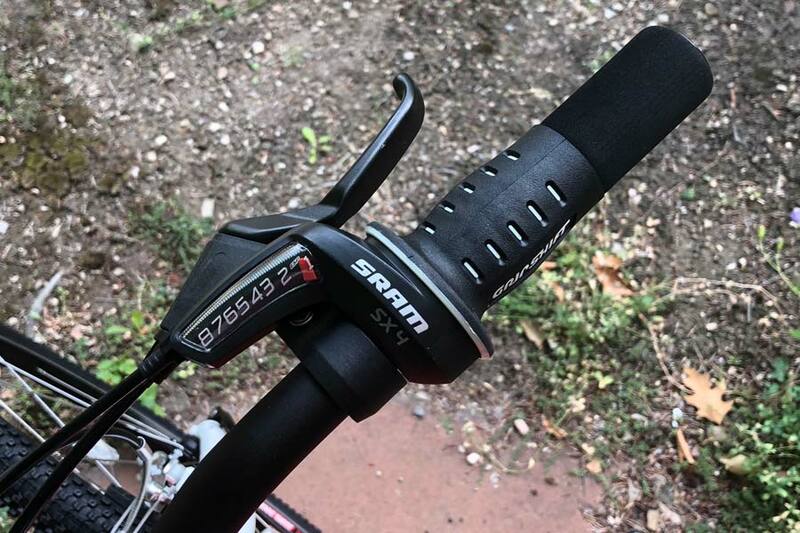 The grips are comfy and attached to 23″ wide handlebars. There’s even a nifty bell included. Our rider enjoyed this bike. 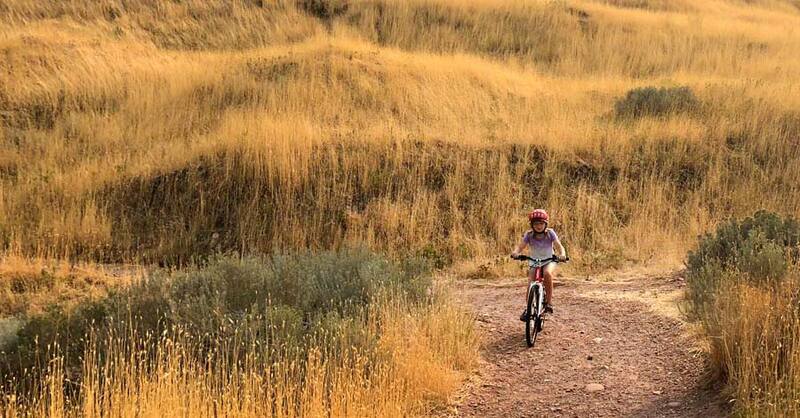 She rode it on pavement, double-track, and a bit of single track. As with all bikes, fit is paramount. The proper fit allows the rider to control the bike safely and get the most from the machine. Cruising up a moderate grade was a piece of cake for the Woom 5 and its 8-speed rear cassette. This was the first time our bike rider rode a 24-inch wheel bike. She was very pleased with how the bike handled and how her power got transferred through the bike. Why Should You Choose The Woom 5? Consider the weight, the price and the ergonomics of this bike. 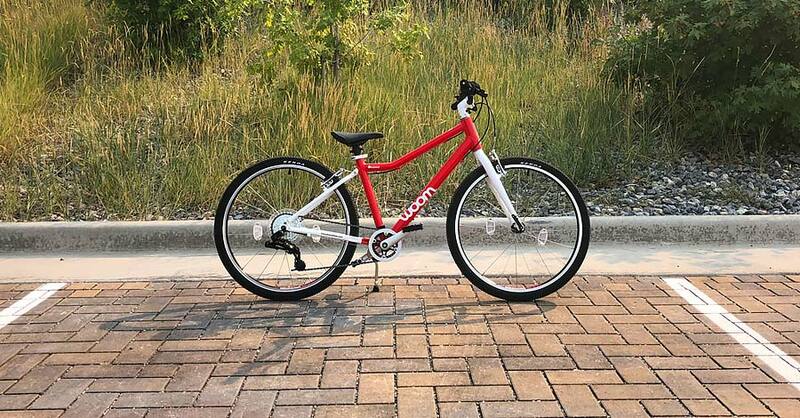 If your child rides on pavement and a bit of dirt, this bike is a great candidate. About 85% of this bike’s parts have been painstakingly customized in order to offer an exceptional riding experience. Woom even offers the upCycle program/membership. In a nutshell, it’s a buyback program for when your child outgrows their Woom bike.